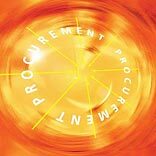 Procurement, as a strategic enterprise function, can do a world of good beyond just cutting costs. While procurement of products has come some way, when it’s a matter of procurement of services, there’s less to cheer about. Services are a very big – and very complex – deal in today’s world. Think global shared services, multimillion-dollar outsourcing partnerships and business-critical service contracts. Leakages, in their procurement, cost enterprises dearly in terms of lost opportunities, year on year, and worse, go unnoticed too. A big opportunity to effectively shift our approach to procurement – for both product and services – has emerged, before us, today. Best-in-class business platforms are revolutionizing procurement to bring 100 per cent spending under management – an unthinkable outcome in the era of 'standard issue' platforms founded on Cloud computing, Software as a Service, and Business Process Outsourcing. The core philosophy of this next-generation platform is to leverage its innovation blueprints to make procurement of services (and also products), at the enterprise, as simple and efficient as retail purchase. Think of how easy it is for a consumer to buy a service, say insurance. A quick search on the Internet and she’s identified a consideration set, recommendation from her social network and she’s down to a shortlist, price and performance comparison on the web to find out who is 'the one', followed by an online application and payment, and the policy is in her inbox. Our consumer is in charge of the process every step of the way. Comparable “smart procurement” is the promise that best-in-class platforms make to the enterprise. This begins at the platform-enabled global ecosystem-led marketplace: a forum to leverage peer opinion, experience and counsel, received over social media, to influence decisions. This live, dynamic, real-time space is open to the external universe of enterprise partners, consultants, suppliers and competitors even. The ecosystem drives collaboration, to achieve common procurement goals, and delivers the benefits of instant feedback for suppliers. The entry of a new supplier, the rating of an existing one or the clearly delineated risks of dealing with a third – in real time - seeds invaluable inputs for informed sourcing. Unseen, an analytics engine is busy at work. But for you, cross-border smart sourcing has scaled a whole new level. The marketplace also brings to the enterprise – its real-time library of catalogs – both native and new - from the universe of suppliers in the category of interest. While this is prosaic in the world of product sourcing, it’s a veritable game-changer in that of services. So far, buyers have been forced to evaluate service vendors using nebulous criteria. Because they aren’t metricised, these highly subjective criteria cannot be used for meaningful analysis, such as identifying the top suppliers of a particular service or the risks they carry. The catalog library plugs this critical gap by providing a set of metrics for every stage of the procurement cycle. With this, one of the biggest obstacles to bringing more of service-spend under management is safely out of the way. Another groundbreaking 'enterprise only' feature of the global ecosystem-led marketplace is its managed marketplace-manager services. This is a specialised team responsible for first metricising and then rationalising the criteria of supplier selection, cataloguing, evaluation and remuneration. In granular detail, every day, every hour, up to the minute. This leads to rigorous supplier selection, for users, without rigorous selection processes. The business can rest assured that their choice of best-fit vendor is founded on rational criteria, not an isolated opinion, or worse, gut feel. The global ecosystem-led marketplace is invitingly easy to use too. (Yes, we know poor user experience is a deal breaker). True to its inspiration – procurement in the consumer world – here, the experience is as intuitive and rich as Facebooking or simply Googling! Peering closely into the world of consumers, it’s obvious that convenient self-service is a must-have. The platform-powered enterprise mall takes that as a clear cue, to free the procurement and payments functions of dispensable intermediaries (and frustrating process delays!) by enabling self-service for business users. They can engage directly with supplier-ware and cart away 'best-buy' offers, just like they would do on an Amazon or eBay. Besides improving agility and convenience, the enterprise mall enables visibility into the supply chain and its processes. Business users are also empowered with easy-to-use smart-widget (or tools) for informed purchasing. After all, these same users, as consumers, rely on online tools to help with some really important life decisions, such as retirement planning. This convenience is now available to them, as buyers of products and services, within the enterprise. Whether it is access to supplier compensation calculation, cost-efficiency metering, risk evaluation or service ratings, everything is a wish ‘n’ click away! Incidentally, the rating of a service based on its frequency of use (once a month, once a year etc.) also helps to spring-clean the catalog library. Most organisations pile up vendor literature for 'when they need it'. The platform allows the enterprise to 'respectfully bury' the online catalogs of infrequently needed products and services so that these don’t clutter search when not required, yet can be easily accessed when they are. Enterprise users, like consumers, appreciate the option to ‘try-before-buy’. That’s why, best-in-class platforms engine experiential vendor showcases to enable buyers to experience not only products, but also services. Take the example of a vendor of web design services, who can put customer experience on show, through a video, outlining the entire process from initial briefing to final delivery. When these showcases are appended to the enterprise mall, they help buyers uncover and leverage vendor innovations. For a last time, let’s look outside the enterprise once again. Brands such as The Body Shop, Patagonia or The Co-operative Group are patronised as much for their business ethics as they are for their products. There’s a similar consciousness in organisational procurement, where enterprises would like to deal with businesses that are sustainable, ethical and above board. The platform supports processes that enable business users to identify suitable vendors and verify their compliance with various mandates, besides bringing transparency into the selection process.